I can distinctly remember standing in the mirror on one of my birthdays and seeing my first signs of gray hair while still having blemishes on my skin and thinking to myself: “you have to be kidding me.” Isn’t there supposed to be a sweet spot where you are fine line and wrinkle free, where you don’t have to battle your hormones whether its blemishes or hot flashes, and where your family doesn’t think a key finder is the perfect gift for you? 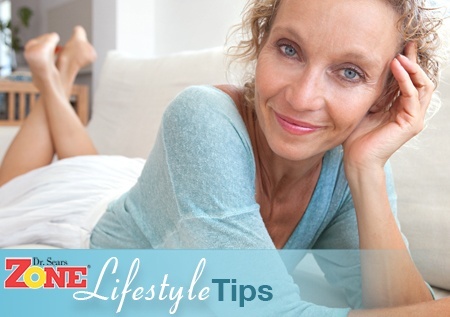 Let’s face it: We all would love to stop aging in its tracks and prevent its inevitable signs, but since it doesn’t appear that there is a pill for that, here are 9 things you can do now to make aging seem like a gradual slow down versus an abrupt halt. Kick the Sugar: Collagen, a protein in our skin responsible for its strength and elasticity, naturally declines as we age. A poor diet, high in refined carbohydrates, accelerates this decline. When excess sugar attaches to protein it results in the formation of Advanced Glycation End Products or AGE (how ironic). This causes our skin to lose its elasticity, making it more susceptible to sun damage, fine lines and sagging. Need help? Here are 6 Ways to Tame Your Sweet Tooth. Restrict Calories: Studies show that when you consume fewer calories it can actually slow down aging. The key is being able to do this without hunger or fatigue. This is where the Zone Diet comes in. By maintaining the appropriate balance of protein to carbohydrate at every meal and snack, you are able to maintain satiety. Zone PastaRx was designed specifically for this purpose, to stabilize blood sugar and curb hunger for hours. 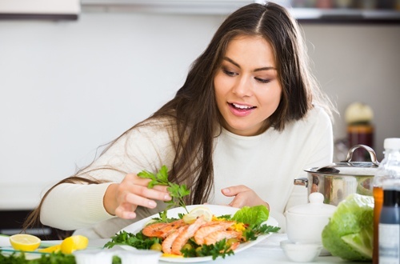 Eat Fish: The anti-inflammatory benefits of omega-3 fatty acids are well established. When it comes to anti-aging their benefits are tied to their effect on our DNA. Telomeres are the “endcaps” on our DNA and a part of our cell that affects how we age. When they become short they cause our cells to stop functioning resulting in premature aging. Omega-3s, like those found in OmegaRx 2, have been shown to actually reduce this shortening which may help improve longevity. Opt for Berries: If you want to keep your memory sharp, make berries your fruit of choice. Not only are they lower in sugar than other fruits, but their high polyphenol content can protect brain cells from inflammation and cell damage, possibly helping to delay the onset of diseases such as dementia and Alzheimer’s. If you find your consumption falling short, consider supplementing with MaquiRx. Hit the Hay: Yes, bags under our eyes are not the most attractive, but more importantly not getting enough sleep literally can take years off our lives. Sleep deprivation has been linked to obesity, diabetes and heart disease. Contrary to popular belief, sleep needs don’t change as we age even though the quality of it may. Make an effort to get at least 7 hours of sleep each day to give your body the rest it needs to rejuvenate. Establish a Skincare Routine: Having a good skincare routine including a good moisturizer and eye cream, can help you look and feel younger. If you are concerned about fine lines and wrinkles, look for products that contain Retin A or hyaluronic acid as these appear to be the most effective for combating the signs of aging. 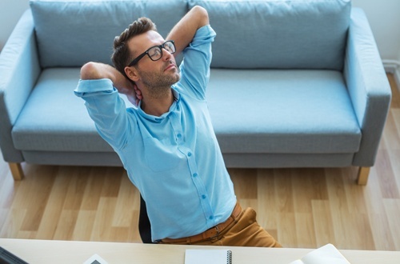 Meditate: High levels of stress can tax our bodies and cause premature aging. Meditation can help reduce stress. Even 10 to 15 minutes of focus on our breathing can help us to feel calmer and mentally focused. Plus meditation has been shown to reduce pain and boost our brain activity. Still not convinced? Find another way to combat stress whether it’s getting out for a walk, finding a class at the gym or delegating your to-do-list more effectively. Change Your State of Mind: A positive attitude and feeling good about yourself does wonders for aging successfully and, surprisingly, decreasing frailty as we age. A study done earlier this year showed that older adults with negative attitudes towards aging actually walked slower and had worse cognitive abilities two years later compared with older adults who viewed aging more positively. Stay positive and do things that build your confidence and self-perception. Sometimes it’s as simple as getting up each day to shower, shave, blow dry your hair or put on lipstick that is enough to make us feel good going into the day ahead. Find Your Inner Child: As much as we might be creatures of routine, finding things outside our comfort zone keeps our brains engaged, helping us to stay young. Forgetting where we parked, losing our car keys or not remembering an appointment sometimes is due to a chaotic lifestyle rather than your memory slipping. No matter your age, it’s never too early to take steps to prevent memory loss. Keep your mind sharp and active by traveling to new places, reading regularly, finding a hobby, staying up on world events or playing challenging games. While we might not be able to reverse the hands of time, by following these tips we can certainly try!